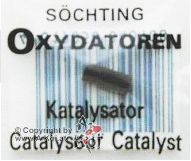 "The Secret to Healthy Fish and a Beautiful Aquarium is an Abundance of Pure, Clean Oxygen in the Water"
From the manufacturer: "Using a patented method, Söchting Oxydators produce normal and activated oxygen in the aquarium by means of Oxydator solution and special ceramic catalysts. The activated oxygen decomposes particularly putrid matters and toxicants and, thus essentially improves the well-being of fish and plants. Pure oxygen created by the Söchting Oxydator is mostly immediately dissolved in the water, so that there are hardly any bubbles produced. The oxygen supply is absolutely noiseless, expelling of CO2 and swirling of ground elements is avoided." In other words, the Oxydator dispenses pure oxygen into the aquarium water, slowly and continuously over time, giving your inhabitants all the benefits of increased levels of dissolved oxygen. Without an Oxydator, good water circulation and regular partial water changes, the level of dissolved oxygen in your aquarium is falling due to the normal metabolic processes of your aquatic life. The Oxydator is "replacing" the oxygen that's being consumed and, as an additional benefit, it's maximizing the oxygen available for your aerobic bacteria (you must still do regular partial water changes to remove end-stage nitrates and for other purposes, of course). All aquatic life, be it fish, inverts, coral or plants (and of course, aerobic bacteria) benefits from increased levels of oxygen. The Oxydator is independent of (and co-exists nicely with) media reactors and protein skimmers. 3 sizes to choose from: A, D and Mini. Spare catalysts are available in case you lose one. We invite you to visit our blog and share with like-minded hobbyists your thoughts, comments, questions and suggestions as we strive to enable our "aquapets" to enjoy a higher quality of life in the enhanced environment that an Oxydator provides. 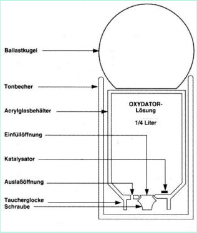 The Söchting Oxydator A is designed for aquaria up to about 106 gallons - you can use additional Oxydators A or D for larger capacity. 2 catalysts are included. An instruction sheet is included. Oxydator solution is not included. The Söchting Oxydator D is about the size of a baseball. 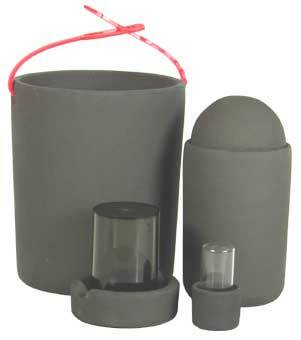 It's designed for aquaria up to about 27 gallons - you can use additional Oxydators A or D for larger capacity. 1 catalyst is included. An instruction sheet is included. Oxydator solution is not included. The Söchting Oxydator Mini is about the size of your thumb. 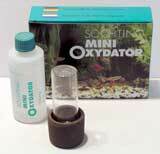 It's designed for aquaria up to about 8 gallons - you can use additional Oxydators Minis for larger capacity. 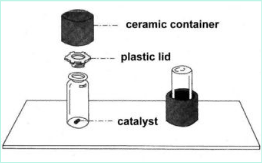 2 little pieces of catalyst (in total less than half the size of 1 regular catalyst) and 2 x 75 ml containers of 4.9% Oxydator solution are included. An instruction sheet is included. 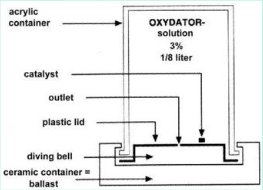 The Oxydator Catalyst enables the chemical reaction which releases pure oxygen from the Oxydator Solution. Keep a few extras on hand in case you accidentally lose one down the drain! For example: 1/4 cup of 35% Hydrogen Peroxide plus 1 1/2 cups of distilled water = 1 3/4 cups of 6% Hydrogen Peroxide. A 1-to-2 ratio of 35% Hydrogen Peroxide to distilled water would yield an 18% Hydrogen Peroxide solution. A 1-to-3 ratio of 35% Hydrogen Peroxide to distilled water would yield a 12% Hydrogen Peroxide solution. Thus you can adjust the % Hydrogen Peroxide as desired to accommodate the rate at which oxygen is dispensed into the aquarium. As of 8/22/09, you can purchase 1 quart of food grade 35% Hydrogen Peroxide for $21.83 plus $9.33 shipping. They also sell pints and gallons, but don't forget -- you're diluting that 35% Hydrogen Peroxide by a factor of 6-to-1, so 1 quart of 35% Hydrogen Peroxide yields 1 3/4 gallons of 6% Hydrogen Peroxide. From Salifert's website (see Test Kits, Reef/Marine, Oxygen): "Oxygen is highly essential for all life forms. Especially corals and marine fish require oxygen concentrations at saturation level. This is because of the low solubility of oxygen in saline water which is approx. 5 - 7 ppm." From Red Sea's Dissolved Oxygen Test Kit web page: "Through contact with the air and the photosynthetic activity of green water plants, oxygen dissolves in water. The maximum amount that can dissolve (the saturation level) depends on the temperature and salinity of the water. The warmer the water and the higher the salinity, the lower the saturation level. If the level of dissolved oxygen decreases below a certain critical level, fishes and other aquatic animals will suffer from oxygen deficiency, eventually leading to suffocation. Since aquatic animals require more oxygen at high temperature and at the same time less oxygen is able to dissolve, most problems occur at unsuitably high temperatures. Oxygen deficiency can also be caused by over population of the aquarium, rotting organic material in the tank, a fouled filter or insufficient water circulation. In case of oxygen deficiency fishes and other aquatic animals are usually seen breathing fast or even gasping near the water surface, where the oxygen concentration is slightly higher. Although plants and algae produce oxygen by day, they consume oxygen at night, so that extremely low oxygen levels may occur during the night. This usually happens in tanks with a lot of algae and insufficient water circulation." From Tetra's Tetratest Oxygen Test Kit web page: "Low oxygen concentrations can cause fish to be increasingly susceptible to disease and cause biological filtration bacteria to work inefficiently. 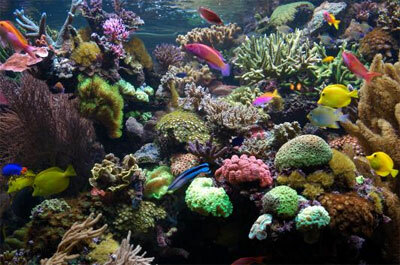 The oxygen concentration in the water of your aquarium or pond is dependent on a number of factors including; temperature (oxygen concentration decreases as temperature increases especially above 80°F), overstocking, heavy amounts of decaying organic matter, and poor circulation or surface films that interfere with natural gas exchange. Additionally, live plants which use carbon dioxide for photosynthesis during light hours change over to oxygen respiration at night and actually add to oxygen demand." Want to learn more about the science behind how the Oxydator works? Click here to view US Patent #4,784,765. Click the "Add to Cart" button of the item(s) you wish to purchase. When done, click the "View Cart" button and "Proceed to checkout" on the secure Shopping Cart screen. You can either log in to your PayPal account or, if you don't have a PayPal account, simply enter your credit/debit card details to place your order (a PayPal account is not required). Note: If an item is sold out, your backordered shipment will get priority attention, being filled before newly-placed orders on a first-come, first-served basis. Product ships daily; our inventory is replenished bi-weekly. Shipping via UPS to addresses in the continental USA only. Insurance is included in shipping & handling. In-stock items are SHIPPED SAME DAY if your order is placed before 4:00pm EST Monday thru Friday. And... the UPS Delivery Tracking Number will be e-mailed to you promptly upon dispatch.